Often used in residential water supply systems and with wells, pressure tanks help to maintain the consistent flow of water and by maintaining sufficient system pressure help to prevent vapor loss to the atmosphere. Water pressure tanks are used in a variety of industrial applications, including chemical, pharmaceutical, food and beverage, oil and fuel and plastics. There are two basic types: the older style of water tank leaves air space above the water by measuring the level of contained water to a predetermined point. Newer tanks use a rubber pouch or bladder within the vessel to contain the water, relying on air outside the pouch to create pressure. Pressure tanks are typically measured in gallons and can range from holding small amounts of liquid to much larger tanks having a capacity for thousands of gallons of liquid, vapor or gas. Water pressure tanks used in homes typically pump water out of the ground and store the water inside the tank until it is transported to the house to be used. The pressure inside the tank will maintain the desired level of water, ensuring the supply does not run out. A common problem with residential water tanks is called overrunning, in which the pump is turned on and off after short runs, thus reducing the air space within the tank. Air can then be added back in to create the desired pressure through the use of an air compressor. Design components for water pressure tanks will depend on the specifics of location, capacity, intended pressure and workload of the tank itself. These factors will help design engineers to determine the best solution in terms of size, shape, material, pressure, temperature range and level of the tank. 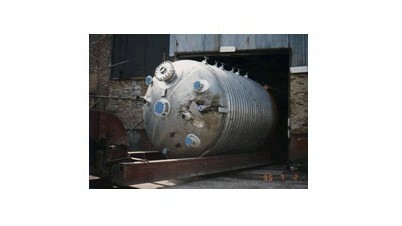 The body or cylinder of the tank can be made from carbon alloy steel, stainless steel, titanium, zirconium, aluminum, nickel alloys, niobium or high strength polymers. Steel is one of the most commonly used metals for high pressure vessels due to its strength and durability, as well as its capacity to maintain structural form even under the factors of stress and high temperatures. Engineers can also consider the corrosion or abrasion potential of the tank and line it or coat it accordingly. Safety codes and standards set by the American Society of Mechanical Engineers (ASME) should be carefully followed and implemented by water pressure tank manufacturers. 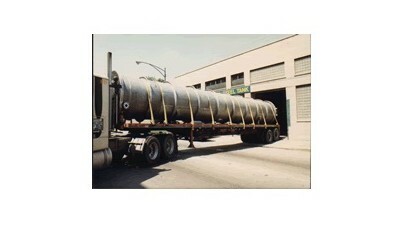 ASME tanks have reached high quality standards and should be periodically inspected to guard against structural damage and potential malfunctions. Due to the high pressure nature of the operation, the risk of explosions or shrapnel from even a small leak or crack in a vessel is nothing to ignore. Inspection, repair and maintenance should be integral parts of water pressure tank operations. Water Pressure Tanks Water pressure tanks, or water pressure vessels, are used to contain water, or similar liquids, at pressure levels greater than atmospheric pressure levels.